Recently in black America, I hosted a meeting for the VSB x Mahogany Books (a black bookstore in Washington, D.C.) Monthly Book Club where we discussed the book, She Begat This: 20 Years of The Miseducation of Lauryn Hill by Joan Morgan, author of the famed book When Chickenheads Come Home to Roost. The book itself, She Begat This, is both an op-ed and an analysis of the impact of Lauryn’s culture-shifting magnum opus and of Lauryn herself. The book is a combination of Morgan’s worldview surrounding The Miseducation and Lauryn, as well as hip-hop journos and industry vets—largely women—who came of age when the album was released and for whom Lauryn represented many things. In one chapter in the book (it’s a quick read at less than 150 pages), a conversation with Michaela Angela Davis draws a comparison between Lauryn’s album and Solange’s A Seat at the Table; Davis’ daughter referred to the latter as this generation’s Miseducation. Davis took issue with that, somewhat: Though she believes both albums represent what life looks like for a young, black woman to stand in her realness, Davis believes that Lauryn, a dark-skinned black woman who was able to get covers in places like Harper’s Bazaar, has a significance that can’t be overstated, as opposed to a lighter skinned person like Solange. Davis also points out that she believes Lauryn’s sensibilities were rooted in blackness from the jump by comparing their album covers, with Lauryn’s referencing Bob Marley and Solange’s referencing the Mona Lisa; basically, Lauryn was coming at her realness from a place of blackness. Solange, from hair texture to lighting and positioning, was coming from a place of blackness but referencing European culture to do it. While I thought that was a bit of an unfair analysis of Solange’s approach to album-making (I’ve been critical of the album but never of its approach to blackness), especially in comparison to Lauryn, it did start a conversation about where we are today in our celebration of and intentionality with blackness, especially in music versus the late ’90s. While people were obviously making vanta black albums and art in the late ’90s and early ’00s—Mos Def’s Black on Both Sides, Digable Planets’ Blowout Comb or, say, Donnie’s The Colored Section immediately come to mind—I think the way we’d celebrate the releases now might be different and even better received. 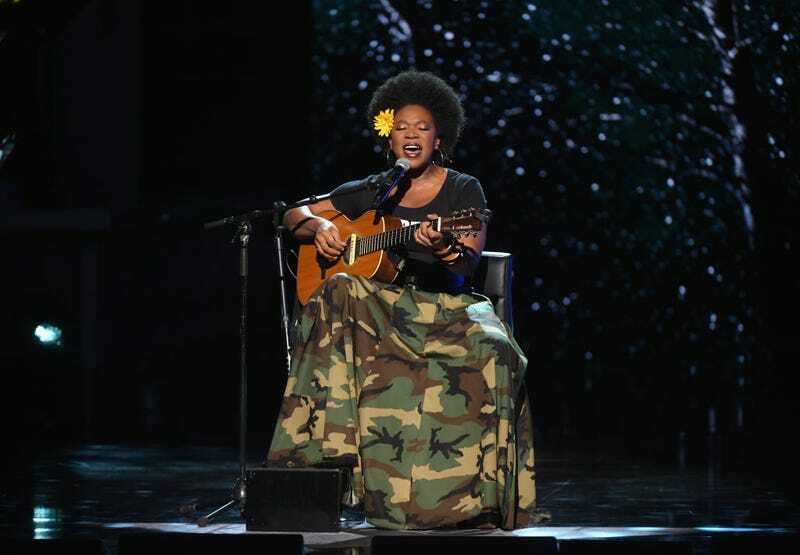 One such artist who I think this specifically applies to is Grammy Award-winning singer/songwriter India.Arie, and especially her debut album, Acoustic Soul. I realize it is a bit odd believing that an album that was nominated for seven Grammys (winning none, losing five to Alicia Keys; that’s a whole different conversation) and sold over 2 million copies in the United States alone could have been better received had it been released today, especially since actual sales today would undoubtedly not reach those heights. And yet, I believe that while many of us loved what India.Arie brought to the table in terms of her artistry and her messaging (even if “Video” was judgmental as hell in retrospect), today because of our unapologetic blackness and black pride and desire to be black out loud and black in public, I think Acoustic Soul would be appreciated in a way that didn’t seem as obvious upon its release. Obviously, the album was met with some acclaim, but none of her singles (“Video,” “Brown Skin,” “Strength, Courage & Wisdom”) got higher than No. 14 on the R&B charts (“Video,” her highest charting song ever, peaked at No. 47 on the pop charts). I think today, “Brown Skin,” for instance, would be received and appreciated simply for how it speaks so positively about blackness and black skin. In comparison, Alicia Keys’ Songs in A Minor was released the same year and took five of the awards that India was nominated for, and sold over 6 million copies and had two top 10 pop chart singles in “Fallin’” and “A Woman’s Worth.” I know that chart success doesn’t indicate how beloved a project was, especially within the black community, but it would be irresponsible to say that we weren’t part of the group propping up both of those works. And I like Alicia Keys’ album, but I don’t think you could or would say it was as rooted in blackness as Acoustic Soul, while still being a black album. When Solange dropped ASATT, it was immediately appreciated and viewed as this super black album that was made for blackness and of blackness and spoke to us without compromising any aspect of her self or her artistry. I think Acoustic Soul could only be viewed that way today. It speaks to self-empowerment, self-determination and loving oneself above all else, while appreciating the community from whence she came. Each interlude, she sings the names of black luminaries, her influences and inspirations in a way that today, we as a community would aggressively applaud. Again, the album was a success in its own time, but I don’t know if its black-black message was as much of a plus as it would be today. Right now, we rightly view Solange as an intentional curator of blackness and protector and celebrator of our collective humanity. I think India.Arie would garner a similar response today. Basically, I think we’d give India more of a seat at the table.